Slowly this year but surely, I am getting into Christmas mood. The bedroom is always an easy room, mostly because I dont really like having too many decorations in. Just a garland with lights usually is enough, a couple of candles and some fyr cuttings, and this is exactly what I did this year as well. 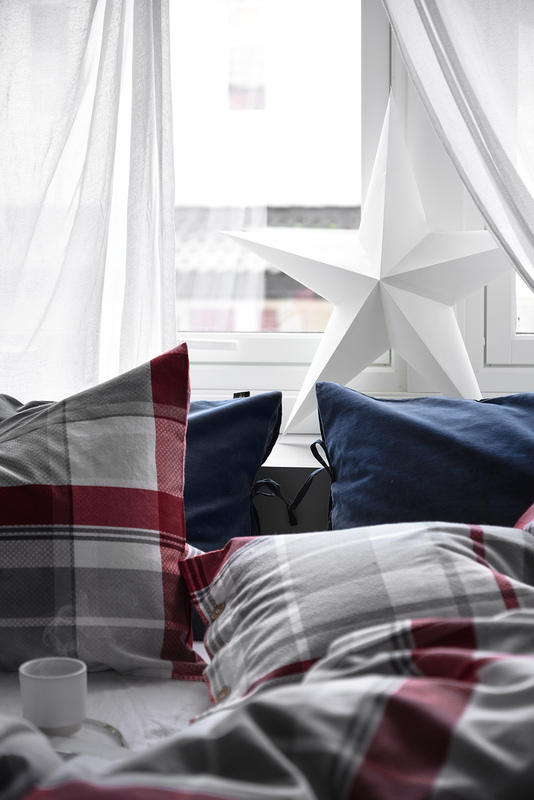 Instead of a small christmas lights garland I opted for a star lamp though, easier to maintain and clean, and to bring a little bit more of a cozy feel I also put on red plaid flannel sheets (find mine here from Høie of Scandinavia). 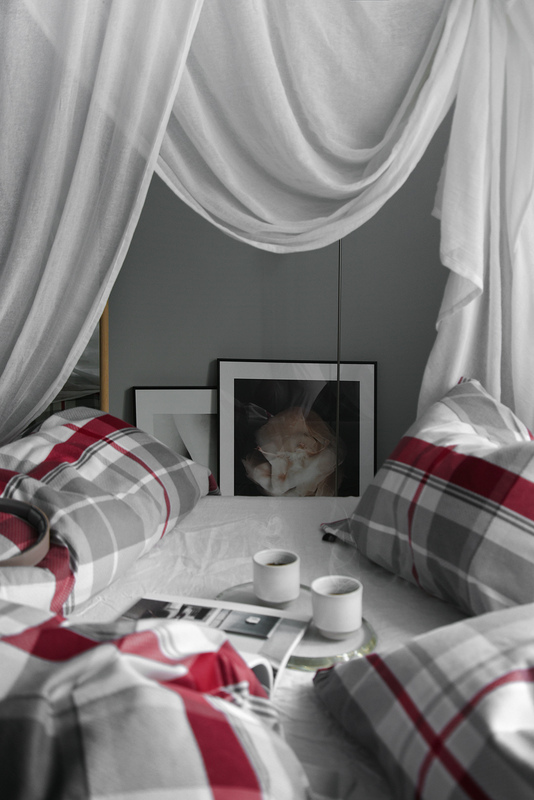 I have spend the last month in bed so sheets that are comfortable to sleep in, soft and warm and cozy are the most essential. Warm drinks, plenty of water and fluids and lots of rest. At least, the bedroom looks so great I am not too sad to spend a few weeks here! Today I finally started on wrapping this years Christmas gifts, however as soon as I started, I realized I was missing my Christmas craft box. 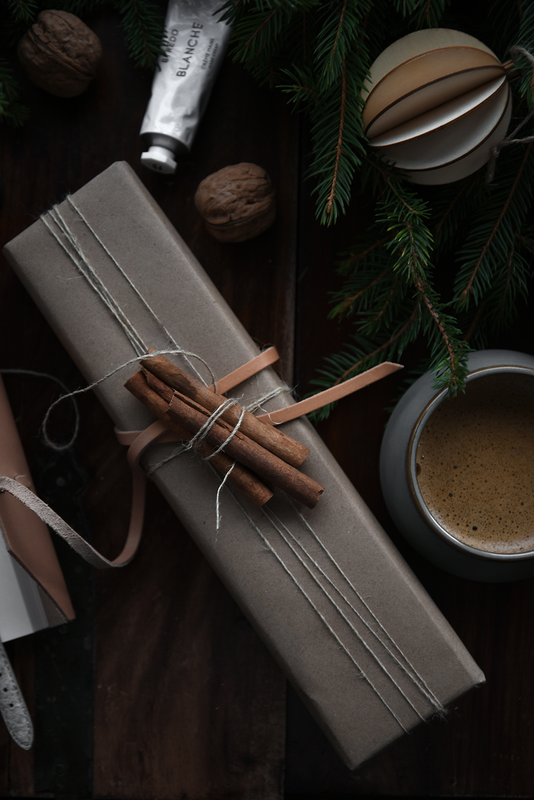 Over the years I have filled a huge box with wrapping papers, tools, ribbons of various colors and texture, name tags, ornaments, almost everything I would need in any occasion. Unfortunately I am in the country right now and my huge box is in Oslo. Kind of ironic really, if I was in Oslo I would just purchase what I would be missing, but here choices are limited when you are in a hurry. But if there is something the country has, is natural ingredients in abundance so I decided to theme this years presents with rustic simplicity. And really, it doesn’t get more scandinavian than this. 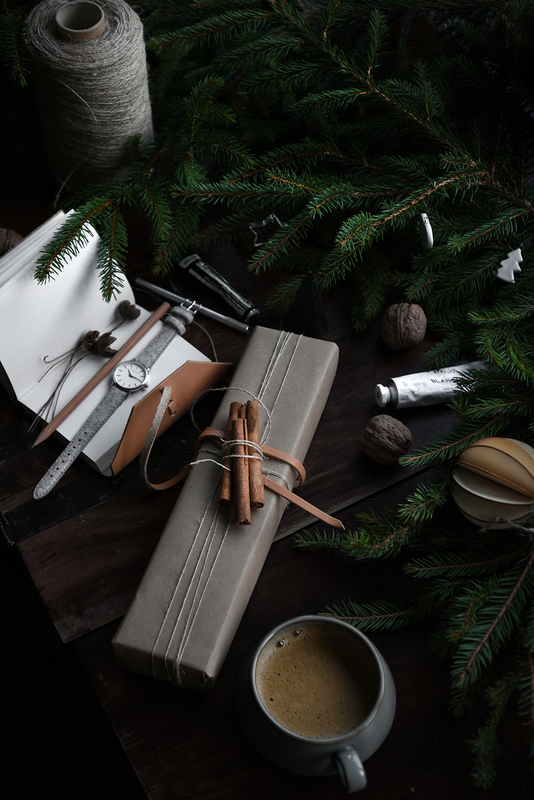 Simple ornaments, fyr, leather, twine and a cup of coffee and we are ready to go. 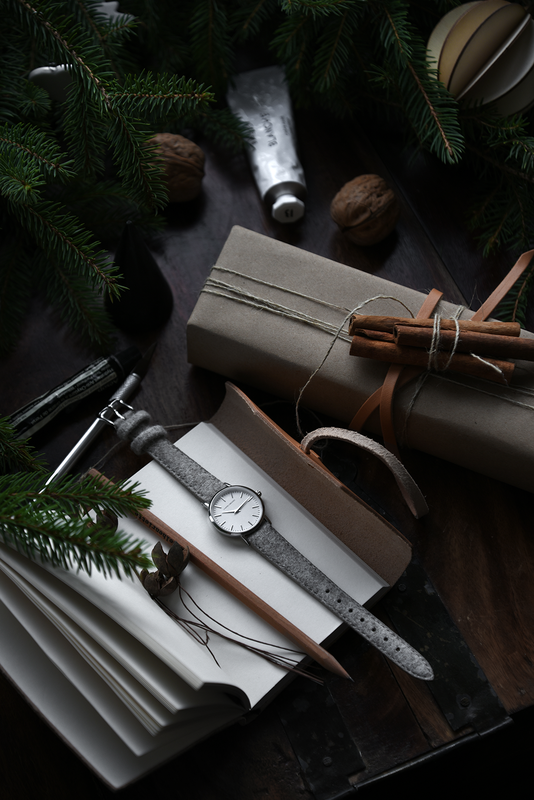 First to wrap, a watch from Harper and Brooks ( I made an Autumn Winter editorial for them here and introduced them, if you are curious to read more about the local Oslo brand with incredible values that I am very fortunate to be working with). 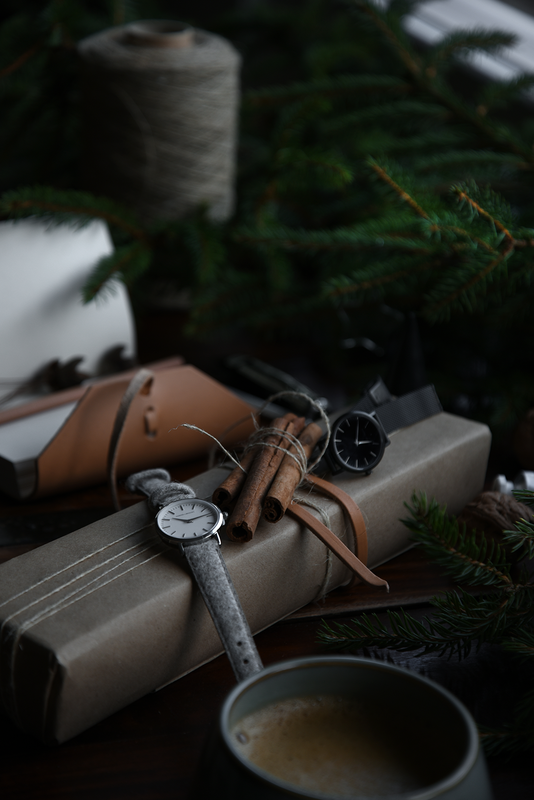 I am not going to presume you dont know what your loved ones would want for Christmas, but honestly every time I have gifted a watch it has always been received with high marks. Two years ago my mom actually cried when she opened the box , as it appears her own had just broken down a couple of weeks ago and she was missing telling the time terribly. Not the one to spend on herself , she had halfway decided to see if she would be able to live without a watch, suffice it to say she lets me know how happy she is almost every time I call home. Seeing my mom cry for something as simple as gifting a watch was really a moment I will never forget, not to mention now I know how much it means to her. Last year I also gifted my sister in law with one, and once again it hit high marks. This time it was rather fashion that was the issue, all her watches were huge and clunky (remember the really big ones with the big bracelets we used to wear years ago?). So when I gifted her with a delicate 28mm watch (as seen in this post) she was just stunned, it appears she had been looking to buy one for herself yet haven’t decided on which one. She is so sweet about it, even after all this time she makes sure to tell me how much she appreciates it, although she still thinks it cannot be a coincidence I knew exactly what she wanted and the timing, and that possibly my brother had tipped me off! I am sure I won’t hit that sweet spot where someone literally was on the market for a new watch every time, but again this year I am gifting one Harper and Brooks watch and I already know it will be extremely welcomed. Sometimes, the obvious, is the greatest choice for a gift, why resist it ? As a Christmas offer,Harper and Brooks have created a selection of limited edition gift sets. Have a look at their best selling wool models and get 15% off ! 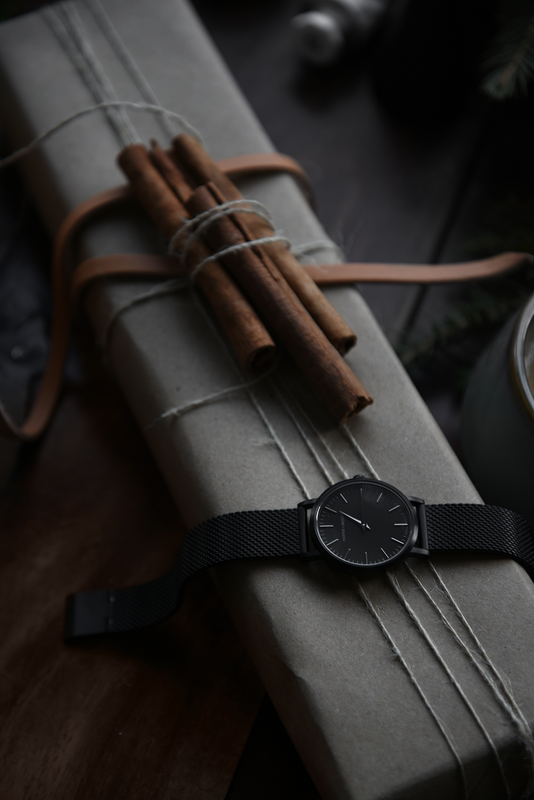 For me, having the choice to change from a steel mesh strap to the super comfy wool one for a more cozy look is perfect combo, I always buy extra straps when I gift a watch! Ad // In Collaboration with Ellos This year I decided to divide my wishlist from Ellos in 3 parts. First comes beauty, then fashion, then home, so there is a little bit of everything for everyone. With prices ranging from 100NOK to 3000NOK these will be ideal presents for any occasion and for any family member or friend! :: Beauty :: Very surprised to see that Ellos brought Grown Alchemist and The Ordinary , I fully endorse any item but do try the thickening shampoo and conditioner from Grown Alchemist and dont miss out on the serums from The Ordinary. 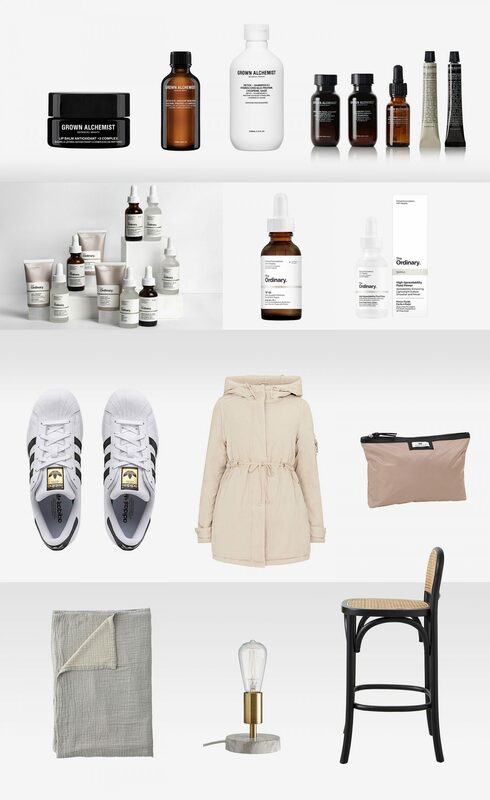 :: Fashion :: Items that should not miss from any capsule wardrobe, Adidas sneakers, a stylish sport parka (this one from Odd Molly ) and finally a neutral make up bag , this one from Day. 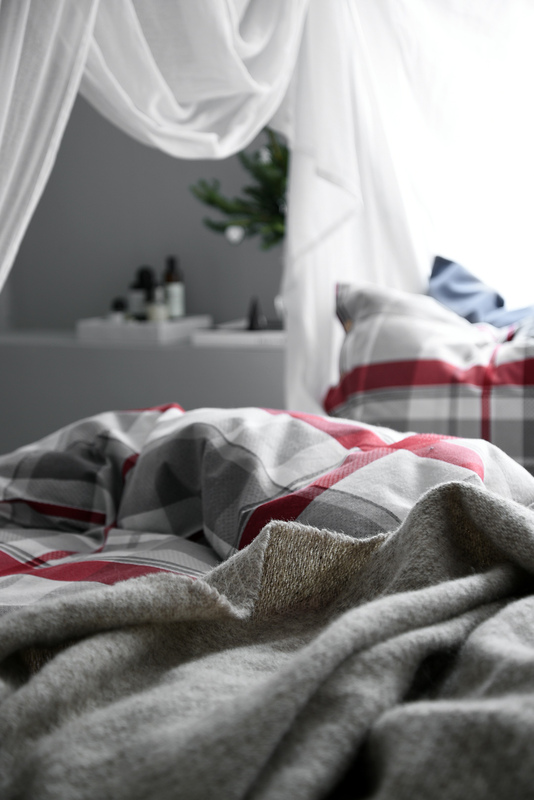 :: Home :: Everybody needs a big enough bedspread to cover the whole bed and also use as a blanket, and it is rare to find one that covers both functions while being big enough and looking great. This one from Ellos own line in grey beige is everything I was looking for (get the 260×260). 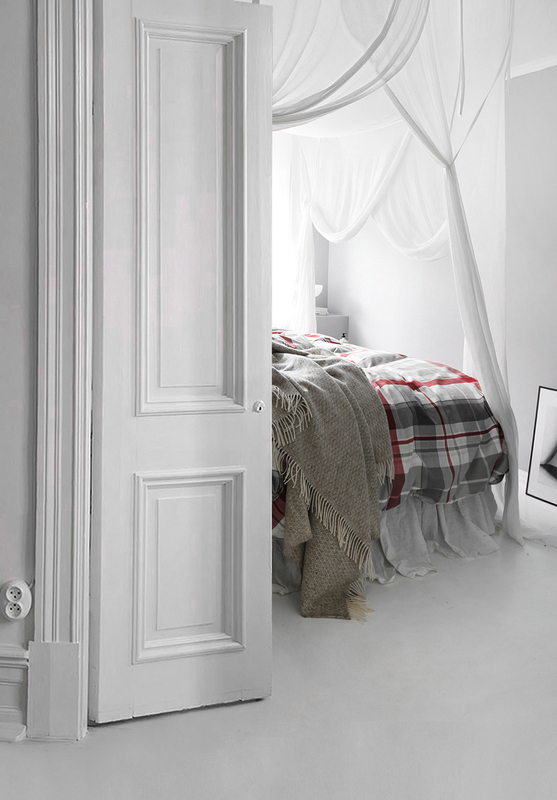 A lamp is also something that will always be welcomed, the Gibson table lamp is quite a catch (only 214NOK) . Last but not least if you know someone is looking for a bar stool, the Bar stool Today with birch with back and seat of rattan is perfect. 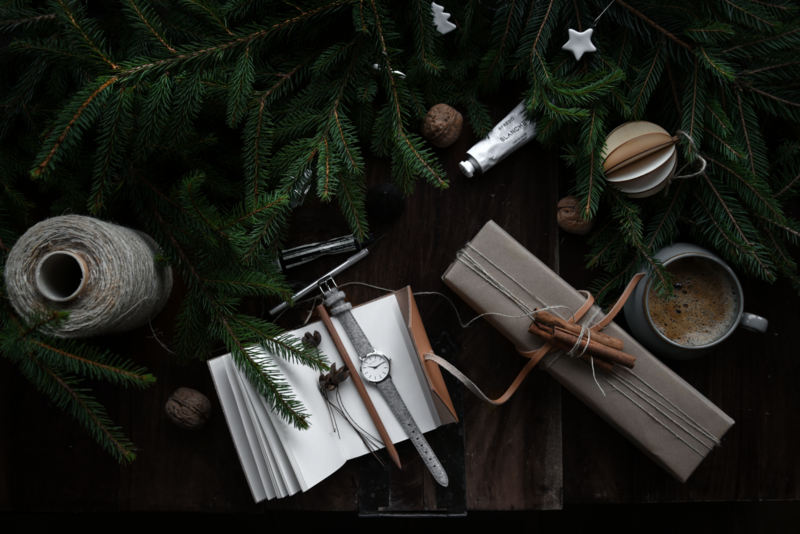 Today I am sharing a few ideas for presents from Høie for either your loved ones or yourselves. 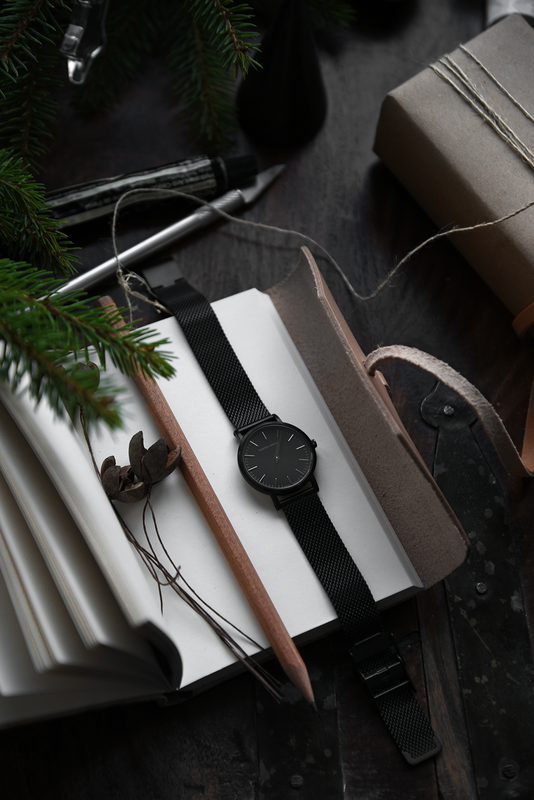 I have been so impressed by the quality of these Norwegian made products, and the ethos of the company ( I talk more about that here) , and with competitive prices I think they make for great gift. 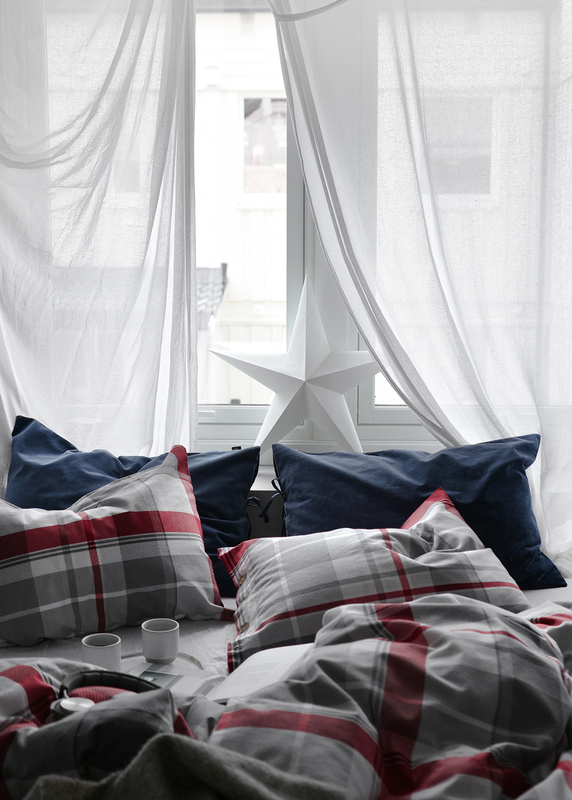 Høie has just opened their Swedish webstore at www.hoie.com/se (soon in Denmark too) and have given me 20% off to share with you, just use code “Onlydecolove” after you are done shopping. I am sure you can find many options you will love but here are few of my favorite combinations! 1 :: As seen in my bedroom recently, Cecilie is on top of my favorites. Mine is in Ivory but there are many colors to choose from. 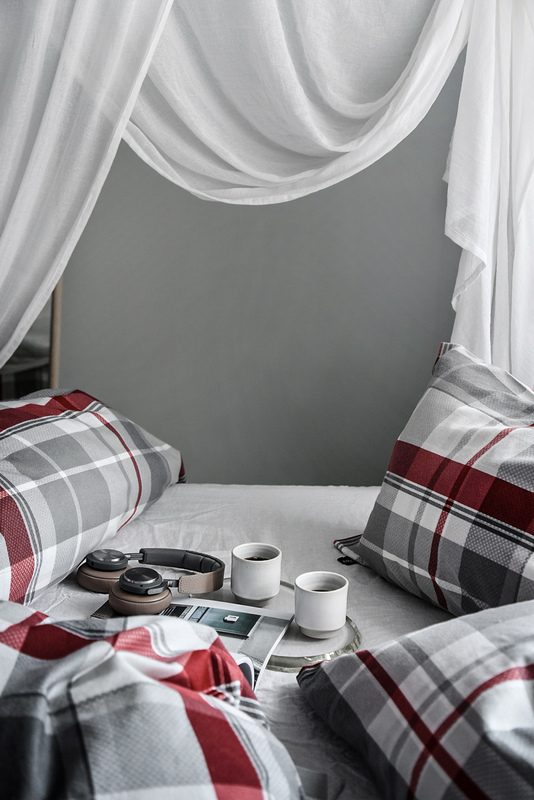 The feel of these sheets is so great , the extra fine cotton has a curling effect which means the fabric retracts and gives a natural relaxed expression. It also makes it feel thicker than plain cotton. In addition, the bed set is stone washed for extra softness. I combined Celilie with the Vanja velvet pillowcases, again many colors to choose from but I went for a combo of Blue and Okra. Velvet on one side, cotton on the other, I turn them on the cotton side to sleep then flip them in the morning for the velvet to show. This way both the velvet side will last longer and look clean, but also I get to enjoy sleeping on the cotton side. No need to change the pillows , these are not just for show! For a final touch, I added a woolen blanket in a light pattern, find it here. For duvets and pillows I recommend the Saga series ( find my duvet here and my pillows here). 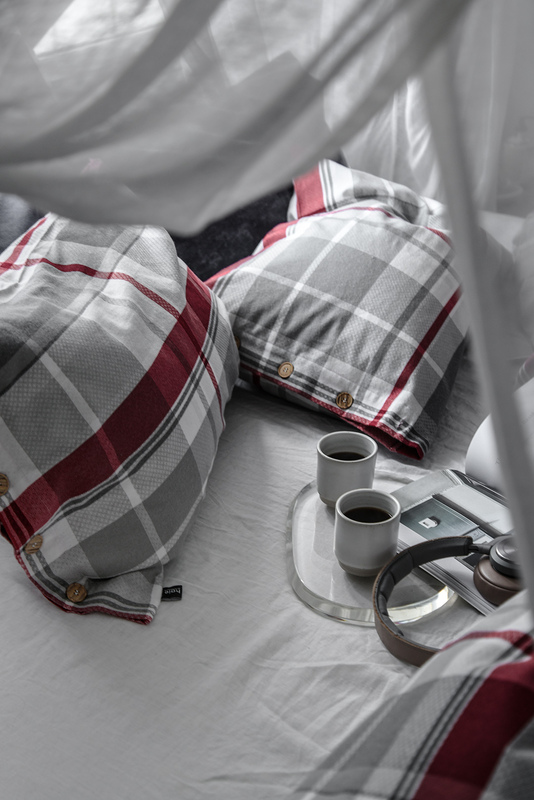 Warm and soft yet crisp and airy ( plus Allergy-friendly recommended Asthma Allergy Nordic), I consider them the best duvets I have ever used. 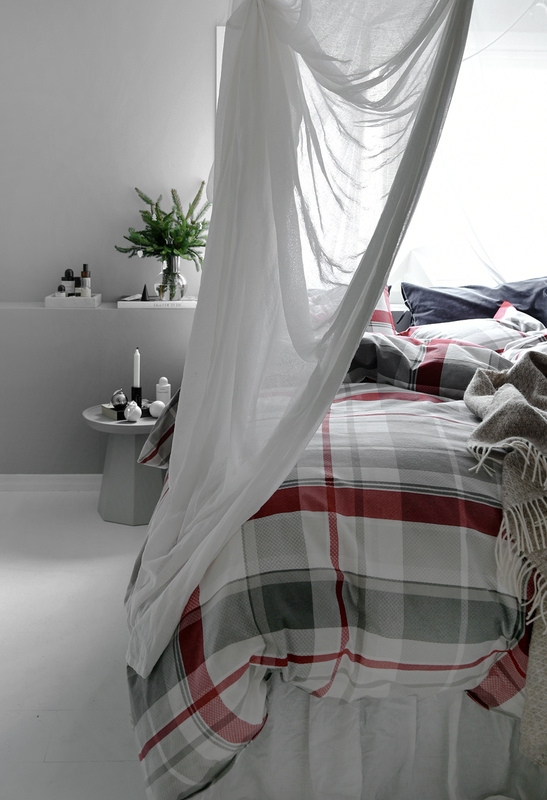 All Høie duvets have the Swan label ( Svanemerket) . The Swan label places strict demands on the entire product life cycle and is your guarantee of reduced climate stress, sustainable use of resources and a non-toxic everyday life. It’s good for the environment and your health! 2 :: For my second option, I recommend something that you might not expect to find in a contemporary bedroom, Høie Satin sheets. It is probably because people believe satin does not photograph so well (not ture), that we dont see it as often in editorials, I myself decided to use it in the 4 stylings we did for the winning bedroom back in september (see it here) and I think it looked fantastic.Why sleep in satin sheets? Satin supports healthy skin and hair while we sleep. 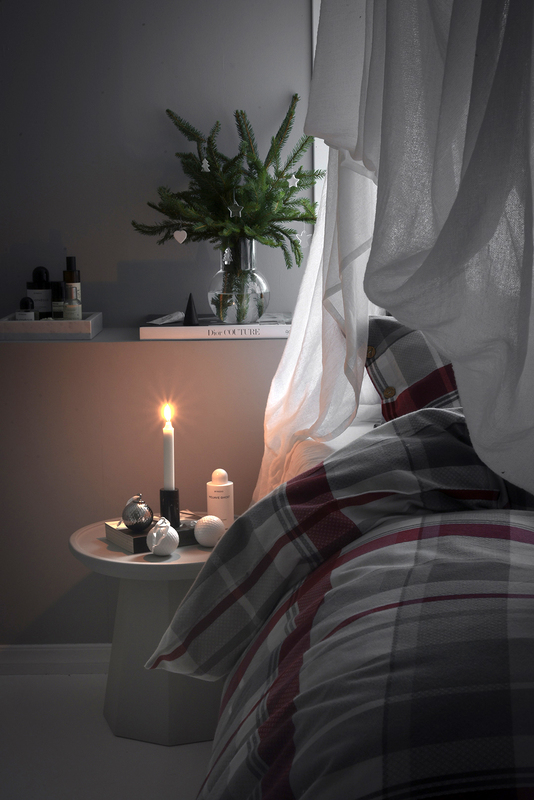 It boosts your beauty game more than more traditional bedding materials because while other materials may tug at your hair follicles and strip your skin of natural, important oils, satin provides a smooth sleep surface. Skin and hair gently glide across as you catch sleep, reducing friction and leaving your skin and hair hydrated. This is key in helping to reduce bedhead, hair breakage, fine lines and wrinkles and dull, dry skin. Try sleeping with just a satin pillowcase and you will see the difference in the first night only. 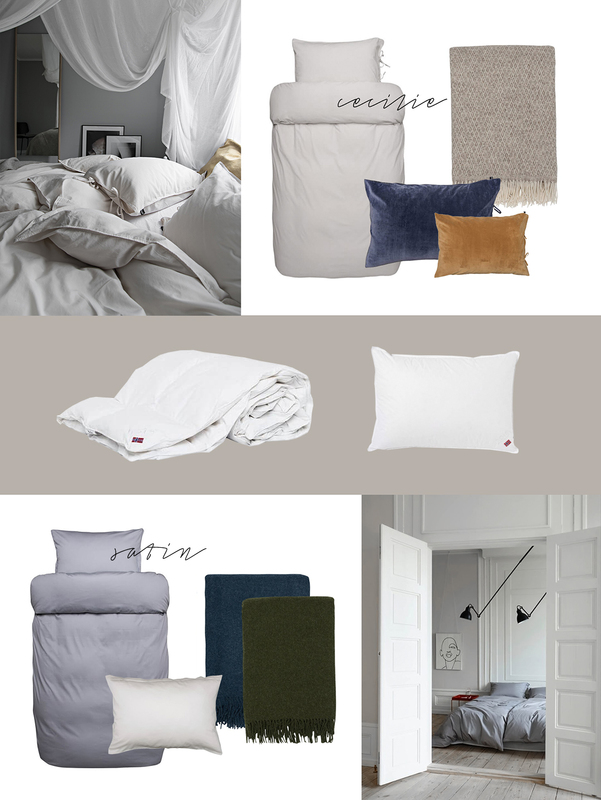 Combine your satin combo with extra satin pillowcases from Høie in white (or buy them individually), or choose any other color. I prefer white for extra pillowcases so I can use them in any color or material combo. 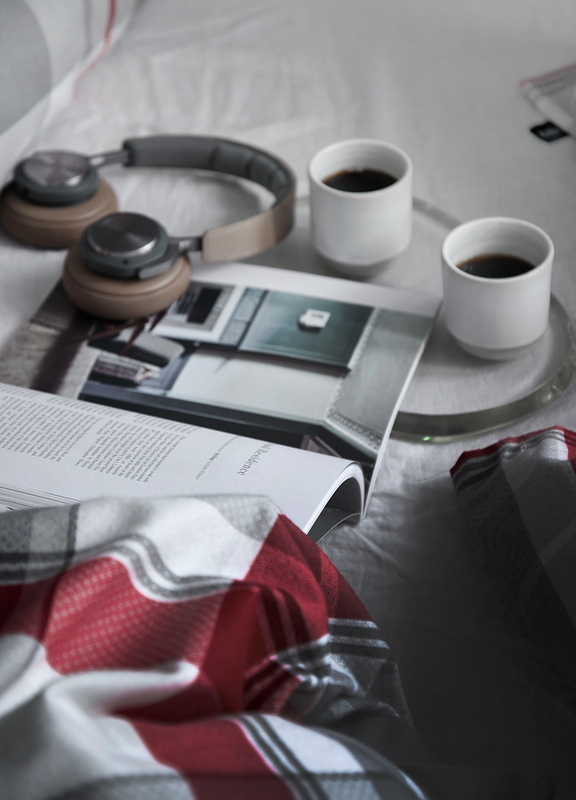 As for a blanket recommendation, I would choose one from the Rondeslottet series,with colors inspired by the natural landscape. Remember now you also have an extra 20% off using the code “Onlydecolove” after you are done shopping, and if you shop now you will get them guaranteed before Christmas!